Opossum Feces Photographs - Is it Dangerous? Opossum poop – the things you ought to know! The problem with having wild animals like opossums in your home is that they will not only use it as a source of food, warmth, and shelter from the outside weather, but they will also use it as their own personal toilet. This minor fact alone can lead to many other problems, and this is very much so the case with creatures such as the opossum. Firstly, opossum droppings smell, especially when it is mixed with urine too! 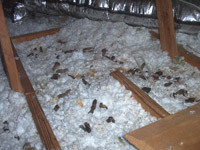 This is one of the first problems that you are likely to encounter when it comes to “shooing” them out of your house – you are going to need to get rid of the feces are urine staining/smells too. 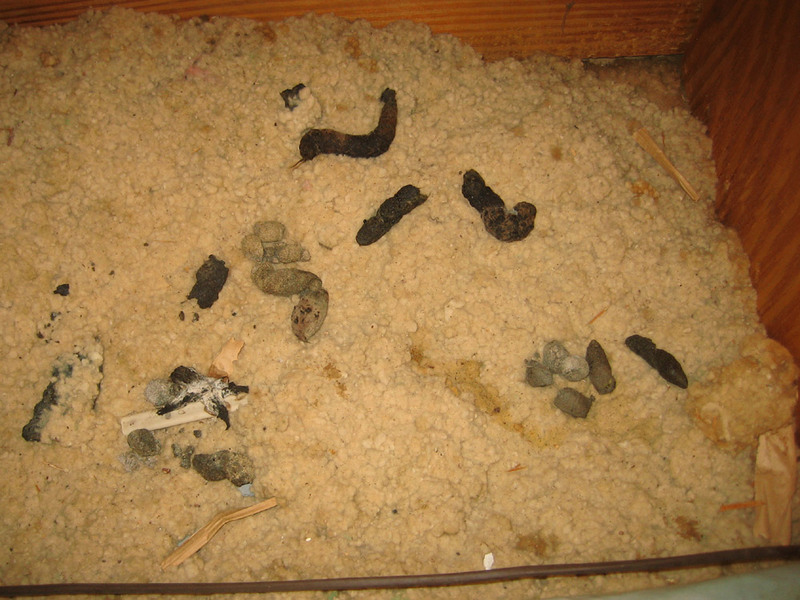 One thing that you should remember is that the poop left behind by opossums is very similar to those left behind by a raccoon, so don’t count on this being your only method of identification if you have an animal, but aren’t quite sure what it is yet. There are a few problems that you are likely to encounter with opossum poop. 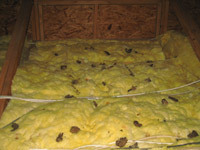 Firstly, it can contain some rather nasty bacteria and cause disease, such as leptospirosis and Salmonella. Not only that, but certain diseases with animals such as horses or birds have been linked to the droppings left behind by an opossum, notably EPM – equine protozoal myeloencephalitis, which can cause neurological problems. 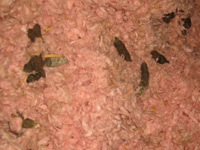 In short – if you have opossum poop in your home or yard, it is probably a good idea to have a wildlife control professional to help you deal with the situation! Click here to learn Opossum Removal and Control methods. Are you at risk of opossum diseases? There is nothing more disgusting than finding a dead wild animal or its feces left behind, but above the “ick” factor that you will experience with these situations, there are more pressing problems at stake. This is very much so the case for the opossum. 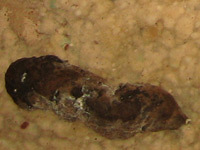 The primary problem comes from the poop left behind by this creature as well as the diseases that it can carry. There are a number of reported diseases that the opossum can carry along with it. Toxoplasmosis, for example, is a disease that can be harmful to both cats and humans, which is one reason why you will want to ensure your household pet keeps well away from the opossum. On top of that, the poop could continue a very dangerous parasite that causes a disease called EPM in horses. It has been said that this parasite could be potentially very infectious for up to a year, so it doesn’t matter how long the poop has been there for, it should be removed almost straight away – as soon as you notice it. If you decide to handle the situation, you should always ensure that you are wearing the thickest gloves that you can get your hands on, and also ensure that you are washing your hands very thoroughly. The best idea yet is to just call a wildlife expert that can come and give you a hand – disposing of the body and the feces that the creature can leave behind in the safest manner possible. How to get possums out of attic – Choosing the right trap: These days, possums are more acclimatized to living with humans, which makes your home their perfect home. This by itself can pose many problems, and you will often find that people are always on the lookout for possums traps in order to rid their property of these troublesome creatures. Luckily, a possum trap is the most effective way to get rid of these creatures, but that does depend on whether or not you make sure that you have chosen the right trap for the job. Thankfully, when it comes to picking a trap that will work for you, there are a few tips that you can take into consideration. Firstly, you are going to want to find a trap that is easy to set up. By doing your research before you buy, you can see which ones are right for the job, and also which ones are going to be the easiest one’s for you to use. You are going to need to pick the right size of trap for the animal as well. If you buy a trap that is too small, you run the risk of causing the animal physical harm; something we are sure you are going to want to avoid. However, by picking a larger trap, you run the same risk with the animal flailing around and tipping it over, and also, you may struggle to remove the trap and the animal once you have set it up and caught the critter. Baiting the trap is important. Think about the animal – is it going to want to crawl into a tiny trap just to get that morsel of food? You should try to make the trap as attractive as possible. It should be clear that there is actually food within the trap, and the animal should also be able to reach it with ease for the best success at catching the critter! And remember that if you come across a possum lying still, that the creature may not be dead – it could be playing dead. This means that it could wake up and bite or scratch you, which is one huge reason as to why you should always remember to wear very thick rubber or leather gloves whenever you try and touch a wild animal.